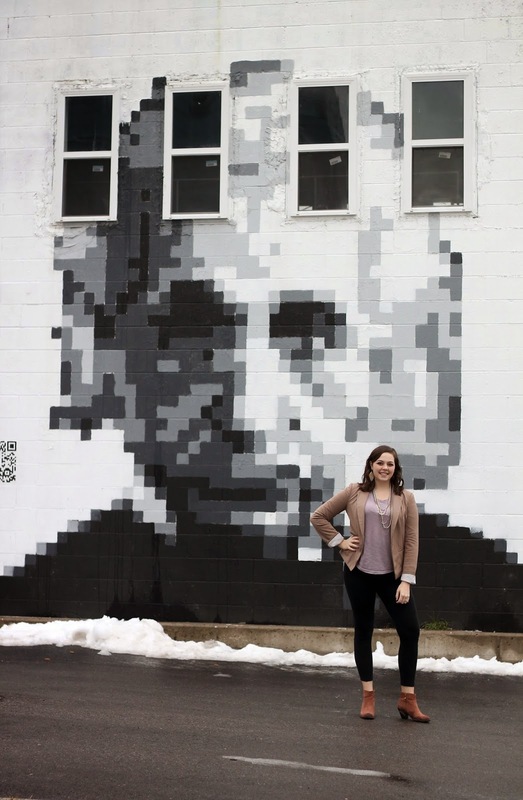 In my city, there's a pretty big 8-bit Einstein painted on the side of a business. I'd seen pictures of it everywhere, but I could NOT figure out where it was. First I saw two different bloggers with pictures in front of it. 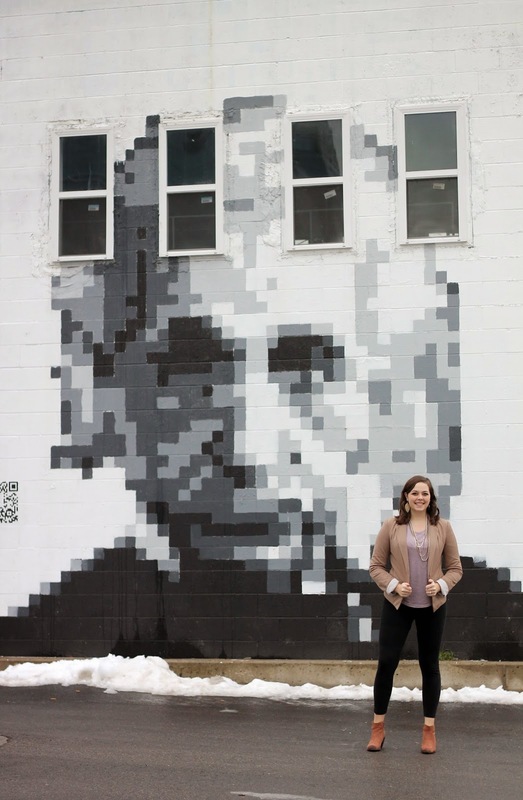 Then I saw it on a Pinterest board titled 'Exterior Wall Art.' I even saw a glimpse of it in the corner of another picture once. 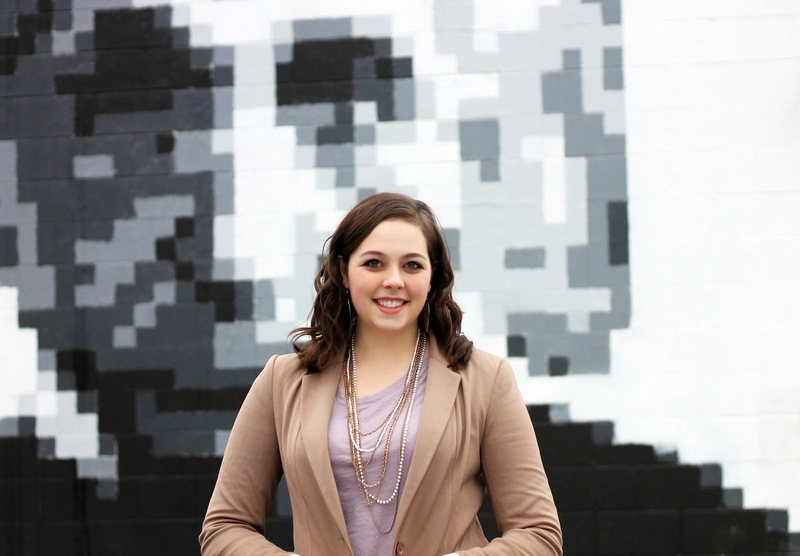 So when I finally found the wall, I knew I had to take pictures in front of it! You know, to prove I found it. If you don't take a million pictures and cross-promote those pictures on all forms of social media, it didn't happen, as the old saying goes. So there I was, making Jason take pictures of me in front of Einstein, and I got to thinking. 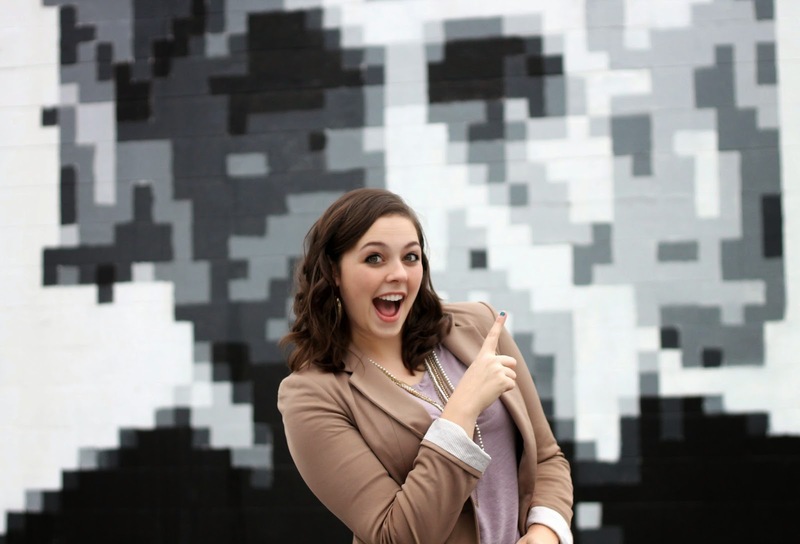 What's a girl gotta do to get a huge 8-bit painting of her face? I mean, I know stuff. I know lots of stuff. Stuff that totally puts me on equal footing with Einstein. I mean, sure, Einstein may have discovered both the Special and General Theories of Relativity. 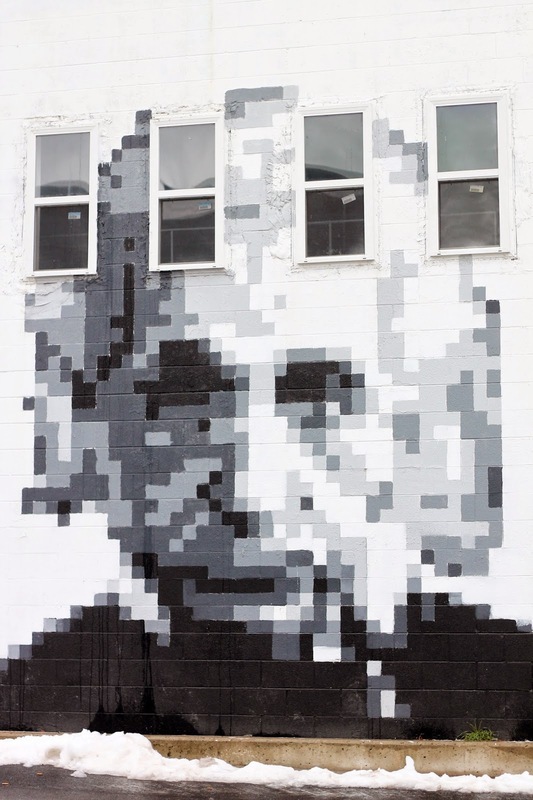 But I discovered the 8-bit Einstein wall all by myself. Which means we're both breaking some new ground. Einstein may have won a Nobel Prize. I can't compete with that. But I know what a hairbrush is. AND I use it daily. Einstein can't compete with that. Einstein may have become a worldwide household name, and his work may have unlocked mysteries of the universe previously unknown to mankind. But I know the truth behind the common core (created by communists with the intent to turn all children into brain-sucking zombies). I know. I read an article about it once on Facebook. See what I mean? I know stuff. I know lots of stuff. I know what happens in the fourth podcast of Serial, which I've started listening to at the gym. I know the bounce-bounce-rock method of calming down a fussy baby (I'm pretty sure I bounce-bounce-rocked my way through Claire's entire first month of existence). I also know the best places to get gas, Indian food, and flavored sodas around here (Maverik, Bombay House, and Sodalicious, respectively). PS see a cool slow-mo video of this wall HERE! Thanks so much Emily! You are so sweet. How cool! And that's awesome that you found it all by yourself! Haha thanks Jenny. It's a pretty cool place! I feel the same way about Maverick, Bombay House, and Sodalicious! 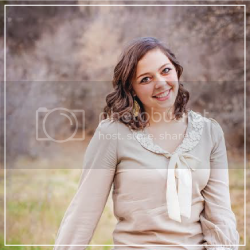 Man, I miss Provo! It does have some pretty good places to eat! I've never seen any of Bansky's work, but I've heard about it, and it sounds amazing!